This week in Sydney the Police task force arrested 2 people in relation to different phishing frauds having scammed a total of $1.7M. Although they didn’t have anything to do with each other they both used the same method. While they were very convincing (at least $1.7M worth of convincing) they did leave some telltale signs that you should know. Not only this, all your staff should know too. 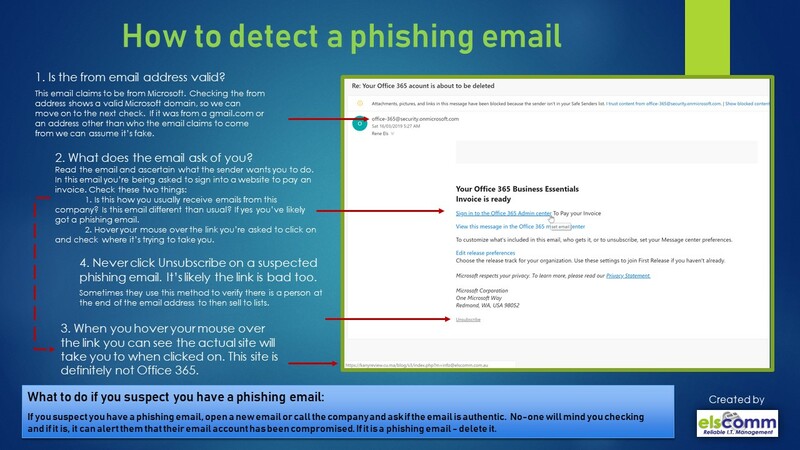 Below is a cheat sheet with a sample phishing email and each of the signs for you to look at. I recommend also forwarding this on to all your staff so they too know what to look out for.